Does anything spell American BBQ more than potato salad? I think not. There was a time when I could not stomach potato salad. Not one bit. I could not fathom cold, mayonnaise-drenched potatoes being appealing to me. That all changed one day when I was working in a super busy cafeteria that serviced 3,000 people a day and it just so happened to be picnic season. During this season we made batches upon batches of potato salad. Huge 5-gallon vats of potato salad would disappear in a day's time. I even packaged it up and sold the stuff by the pound as most grocery stores did. Watching and serving the salad all day long made it even more unappealing to me. But one day, I was the only chef manager in the kitchen and one of my favorite cooks Teresa came looking for me to taste the batch of potato salad. "No gracias, Teresa. 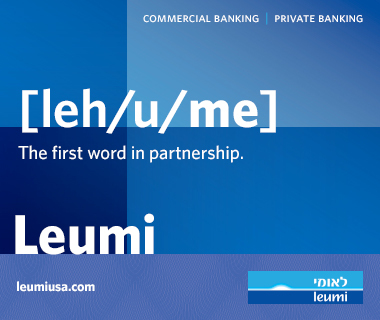 Seguro esta bien," I said. "No thanks Teresa, I'm sure it's good." She waved her head, dunked a plastic spoon into the gooey mixture and said, "Here!" I had a feeling she was not going to take no for an answer. I had to taste it. It would be wrong and a bad example if I didn't, right? So I sucked it up and tasted it …Teresa watched me with her usual cheery smile on her face. And then the unbelievable happened. I accidentally breathed. You see, I was holding my breath hoping to not taste anything … I know, I know and I call myself a chef! But people, I have a wretchedly evil gag reflex! When I breathed, I was surprised to find that what was being passed around in my mouth was surprisingly delicious. It was creamy, but not in the gross way I had imagined. It had all the texture and mouth feel that I expected it to have… but those textures were not gross at all! They were delectable. "MMMMMMMMMMMMMMMM es muy delicioso, Teresa," I said. She smiled, thanked me and began placing them in huge Tupperware containers to be used later on that day. And I continued eating the salad. It was not all creamy; there was some crunch to it and even some tanginess. And it was just what this girl's appetite wanted. Not needed, wanted. No one actually NEEDS potato salad, let's be honest. The next day, I stood by Teresa and watched her make it. 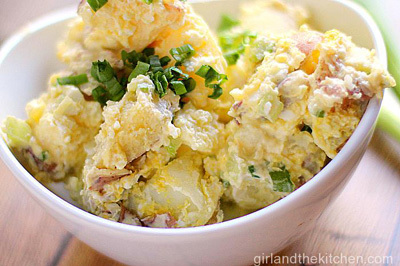 Such simple ingredients came together to make the ultimate classic potato salad. She made it with such knowing hands and such precision, never measuring anything but consistently getting the same result. That, ladies and gents, is a pro. And so I pass on her delicious recipe to you. 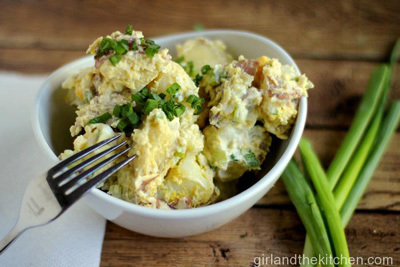 I promise THIS will be the only recipe for potato salad you will ever need! I brought this over to a BBQ I attended and it was gobbled up instantly. I will say; I prefer making it the night before and letting the flavors marry a bit. It's a lot yummier that way. 1. First wash up your potatoes. I like to use classic small red potatoes. Cut them up in quarters if they are small, or in eights if they are the larger ones. 2. Place them in a pot with a few pinches of salt and bring to a boil. 3. While you are at it, grab some eggs and hard boil them. I got a nifty tutorial for you on how to make the easiest and most perfect hard boiled eggs every time. 4. While that's working for you, finely dice some celery. 5. When your potatoes are juuuuuust fork tender, dump them into a colander and let them cool. In fact you can always do this the night before as well. 6. Place the potatoes in a bowl and crumble up your eggs right on top of there. I just mushed the eggs with my hand, but feel free to do this with your fork if you would like. 7. Chop up a bunch of scallions (about ¾ of a cup) ... I like it really scalliony because I feel it really brings out the flavor in the potatoes. Add the scallions to the heap as well. 8. Now add ¾ cup of sour cream, ¾ cup of mayo, ¼ cup of dijon mustard and salt and pepper. (If you're forgoing the sour cream for a kosher BBQ, add a squeeze of lemon for some tanginess.) Mix everything with a big spatula or your hands. I prefer to use my hands because you get the "dressing" distributed a bit more evenly this way. Check for seasonings and see if you need it zestier, saltier or if it's just right! 9. Garnish with scallions and enjoy!